It seems like the Thanksgiving holiday came and left in a blink of the eye. Our day was a blast, starting with our participation in the 117th Turkey Trot in Buffalo New York. This was my 6th year running the Trot on Thanksgiving morning. The race is the oldest continually run footrace in the US, established even before the Boston Marathon, and this year it drew a crowd of 14,000 runners. The weather here in Buffalo can be tricky, but luckily, we enjoyed beautiful sunshine and a temperature close to 50°. 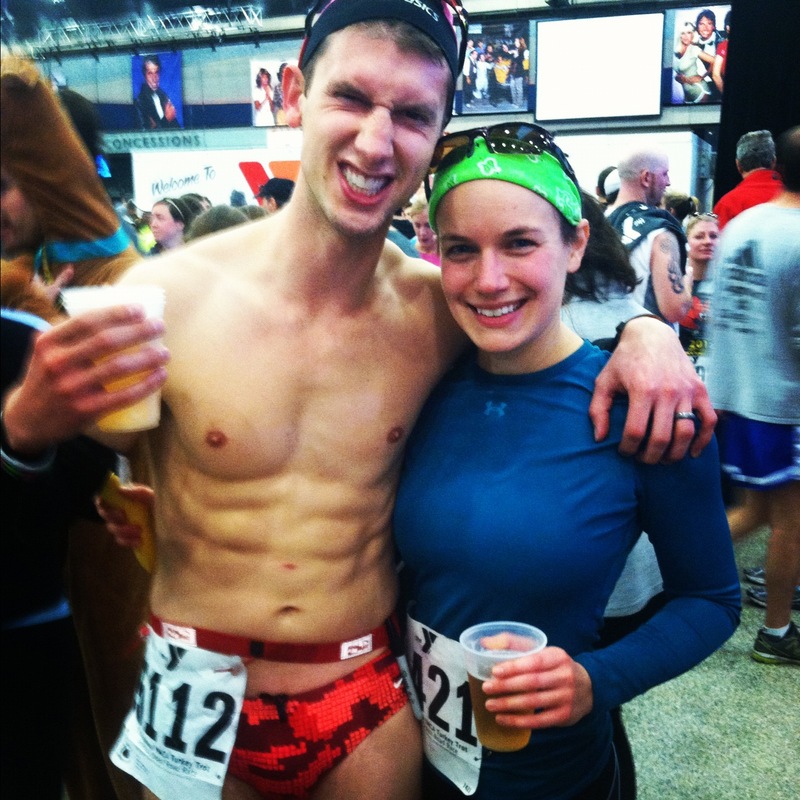 This was favorable for the many runners who donned costumes for the race, including my husband, who decided to run in his favorite speedo. The day continued with an amazing dinner surrounded by family and friends. I will be the first to admit that my meal choices were not the healthiest, but life is too short to not enjoy Thanksgiving dinner. On that note, the holiday season is not an excuse to neglect healthy eating and exercise from Thanksgiving all the way until New Years. It seems that many people I talk to have decided to completely give up during the holidays, vowing to get back on track once the new year begins. While it isn’t necessary to avoid every single holiday treat that comes our way, it’s also not necessary to use the holidays as an excuse to binge on the endless supply of candy at the office and 800 calorie gingerbread lattes. Having just come to the realization that I only have 8 months left until I compete in Ironman Lake Placid, I know that I don’t have any room to make poor choices. The next few weeks are going to be crazy for me. There are three weeks left of non-stop projects, papers, and presentations until I complete my masters degree and then it’s on to the Christmas festivities. So while I might not be able to commit to as many hours of training as I would like to, watching my diet will be a huge help. 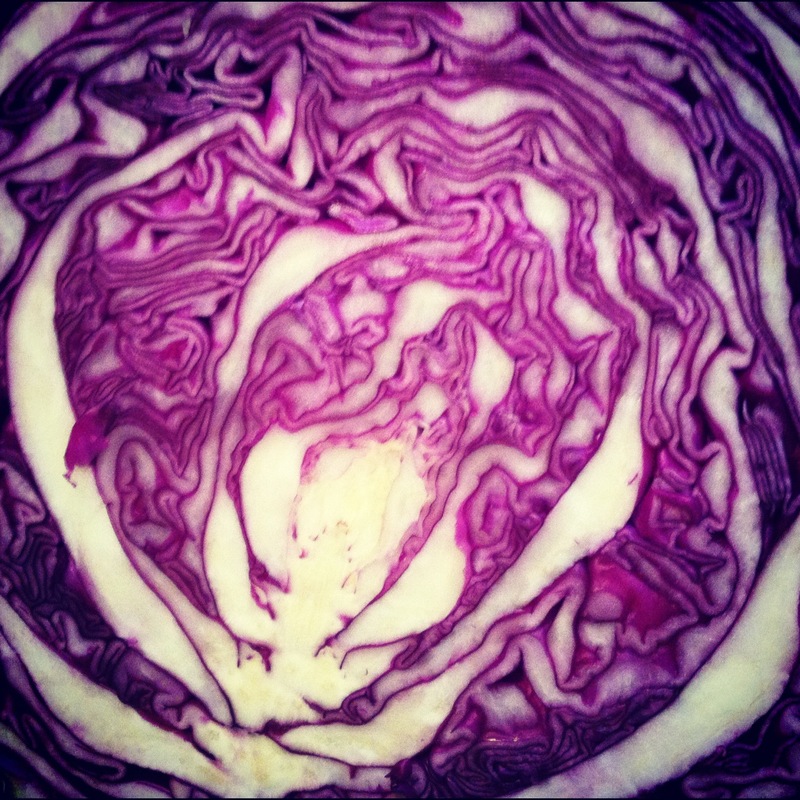 So today, after a morning trail run in the snow (yes, three days after running the Turkey Trot in 50° weather, we had a mini blizzard), I decided to experiment with a purple cabbage that was waiting for me in the fridge. My creation, an Asian Cole Slaw. In a large bowl, toss the chopped cabbage, carrots, ginger, and cilantro. To save time, I tossed the carrots and ginger into a food processor, but if you are looking for a fabulous presentation, you could chop the carrots into matchstick sized pieces. Mix in the sesame seeds and add as many red pepper flakes as you wish, depending on how spicy you want the dish to be. 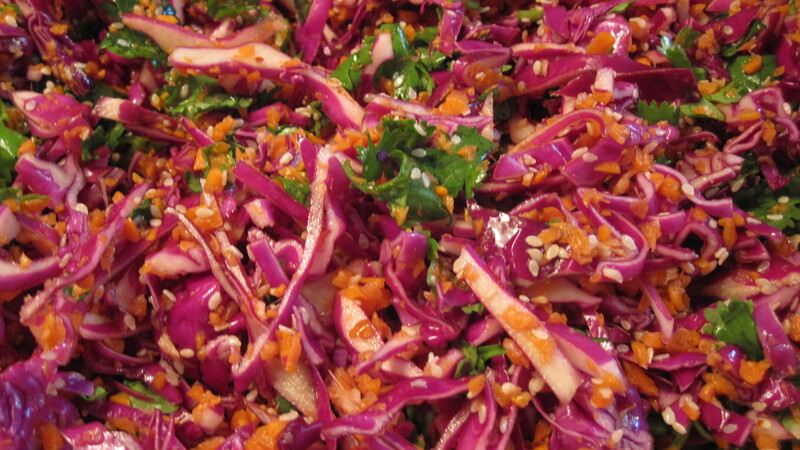 Mix the rice vinegar, Bragg’s, and honey and sprinkle over the slaw. Serve immediately and enjoy! That sounds incredibly good. I might have to try that out!